Happy Birthday Harry Potter! Today is the day we’ve been looking forward towards for the last few weeks. Can you believe that during this year’s Happy Harry Potter series we saw 53 amazing Harry Potter tutorials, recipes, book lists, and other fun projects?! And that’s not even counting the 5 giveaways! I’ve been BLOWN AWAY with the awesomeness! I know that with two posts a day for two weeks it’s easy to miss some posts so here are all of the amazing projects from Happy Harry Potter 2015. If you want to make yourself or your baby a shirt to show off your Harry Potter loving pride we’ve got you covered! Whether you have your house decorated with Wizarding fancies during the year or want something special for a party here are a bunch of great Harry Potter Home decor ideas. Are you ready to share your love for Harry Potter with the kids? These Harry Potter kid activities are fun for the whole family! Ready to take some needles to your Potter projects? These sewing, crochet, and knitting projects are perfect for warming your wizard loving hearts! And we couldn’t forget the Harry Potter foods now could we? We’ve got all the treats and goodies you need for your next Harry Potter party. Whether you’re printing to paper or saving to your favorite electronic device we’ve got a bunch of great free Harry Potter designs to help you get creative and Wizard-ize your world to your hearts content. Last but certainly not least for all of you who like to wear your love for our favorite birthday boy around your neck on on your bag we’ve got a ton of fabulous Harry Potter Jewelry and Accessories ideas for you! Want even MORE Harry Potter? 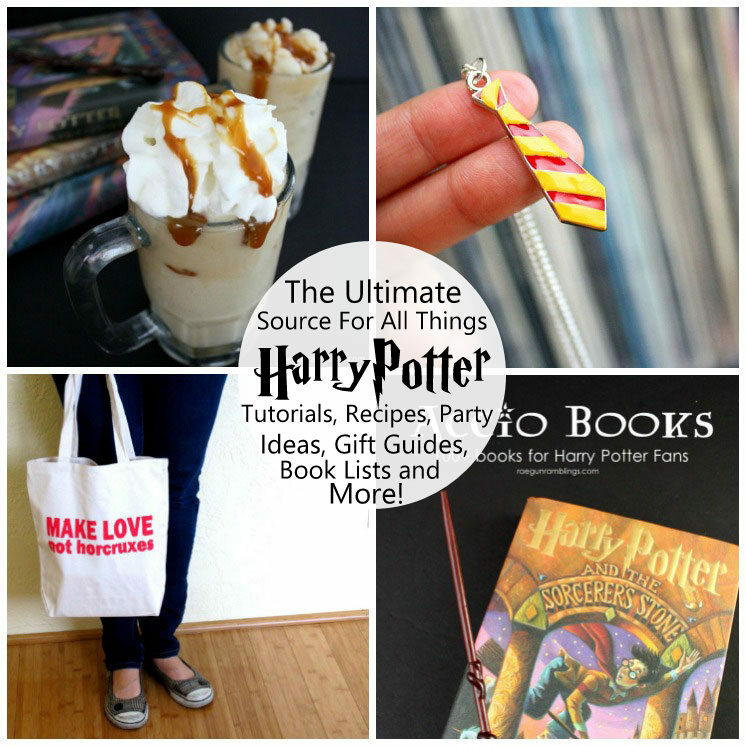 Check out ALL our Harry Potter projects Harry Potter crafts, projects parties, food, DIYs printable and even more! I really look forward to everything you have going on! Luna Lovegood is my favorite Harry Potter character! I forgot to leave my pinterest name on the entry to follow Sisters What on pinterest…..I cut and pasted their link instead. Ugh. I am msh60 Thanks! My favorite thing about Harry Potter is that it turned my youngest child into an avid reader. Bless Harry Potter! My favorite character is Harry Potter! These ideas are soooo cool!! I need to get crafting and make a lot of them. I recently did a post on some of my favourite series now that Harry is gone in case you are interested! Oh my word I LOVE all of these ideas, this is a great roundup. I want to make the shirt about what you grow up to be for my 3 boys. My oldest son and I loved the HP series in books and trying to get the younger two boys to read them as they get older! Stopping by from Motivation Monday and hope you’ll linkup with us at Small Victories Sunday Linkup too, open all week long!